With WebNMS Smart Home Manager. 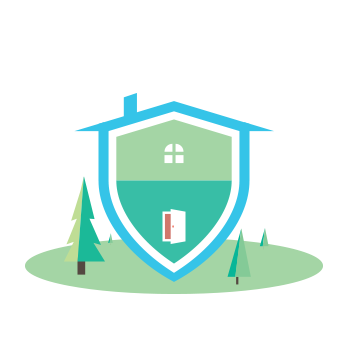 Security is the first step towards smart homes. We help you to lead a more convenient, and secured life than ever before.While you are on a business trip, you want to know what’s happening at your front door? It’s simple, just hop on your tablet and view the video feeds from your security camera. Automated Security provides 24x7 surveillance to safeguard your home and loved ones against intrusion, gas leakage, or fire. Motion detectors, gas leak detector, cameras, and the alarm system are networked together. During a security breach or an emergency, an alert is raised to the family circle via SMS. The monitoring system can also be configured according to your requirement. For instance, the security system can even be programmed to ring-up the nearest police station or fire station during an emergency. Outdoor security system expands your protection environment and guarantees higher-level of security. You can now monitor activity surrounding your home and pre-program to record events when any unusual movements are detected. Have you ever worried about why your power bills are high? With Automated Energy Management you can easily track power-hungry appliances ( might be your water-pump or cooling system ) and keep them in check!. WebNMS Energy Management system indicates your energy consumption pattern, raise alert on which device is costing more to you, and even suggests energy efficient improvements. Occupancy sensor detects inhabitant of a space by people and turns the lights on/off automatically when the room is unoccupied. Automated lighting dimmers pick data from the environment and adjust light illumination. Heat, ventilation, and air conditioning plays a central role in smart home as it enables remarkable energy savings.Temperature sensors adjusts temperature flow and manages heat and air-conditioning of the room so that no more energy is wasted. Have complete control of every light in the house from anywhere – for perfect ambience, comfort, and cost savings.Program your lights to turn on automatically when you enter the home. Switch-on the lights in one-touch when you are in a vacation so that the house looks occupied. Motion sensors provide hand-free lighting in the dark. Combine lighting with your home theatre, so that your lights dim when you areready to watch a movie. Work and travel will not keep you away from home. Receive update about activity in and around your home from any remote location.Video intercom enables two – way communication with your loved ones from anywhere. Interact with elderly people, make sure your kids reach home safely, and watch them playing from your smartphone. WebNMS Smart Home understands and reacts to your routines and behavior, saving you both time and money by automating the tasks you would typically do manually . WebNMS Smart Home enables to customize your smart devices according to your behavior. After a long drive, you can drive into home without the hassle to open the gate. Vehicle detection system enables automated gate opening. You can also schedule actions to respond automatically when different events happen. For instance, you can preset the air-conditioner to be switched-on when you reach 2 kms away from home. The digital addiction has triggered the need to stay connected. Proliferations of smartphones and tablets have been a huge enabler for smart home applications as portable devices are the perfect match. Smart Home creates a truly connected ecosystem, linking all your appliances and enabling you to take control of them via variety of interfaces (such as smartphone, desktop, laptop) remotely from anywhere. After you had left the home, when you suddenly doubt whether the doors are locked and lights are turned down, smart home crackdowns your helplessness and worry until you get home again. You can now turn on/down any device from anywhere through your smartphone or tablet. Customize the system to receive alarm in several ways, including sending a SMS, recording a video, Phone calls, notifications, and email can be sent to trusted circle when security alert is triggered.